Cooking during Lent is a challenge, for sure. The no meat restrictions mean a lot of our normal staples are a no-go during this time of the year. Try some of these easy recipes that even the busiest mom can whip up in a jiffy for Lent dinners. Your whole family will love them. 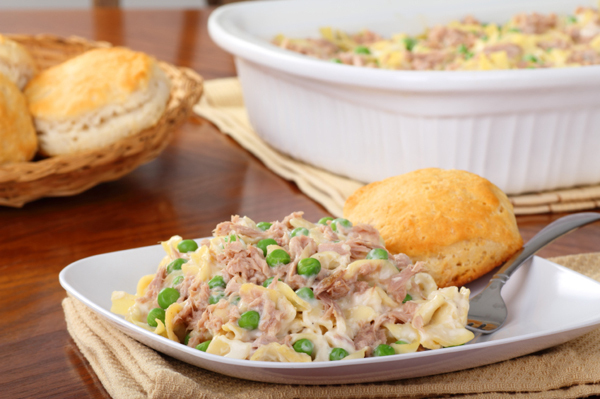 Tuna noodle casserole is a quick, easy and comforting meal. Tuna is a great source of protein when you need to avoid meat, but it can be hard to feed to the pickiest of eaters. They’ll devour it in this recipe, though, when it’s covered in gooey sauce, noodles and tons of cheese. Serve it with a side of salad for a complete meal. In a medium bowl, mix the cream of mushroom soup and milk. Add in peas and tuna, and stir until combined. Place cooked noodles into a greased 2-quart baking dish. Pour soup mixture over noodles and combine until noodles are well coated. Remove from oven, stir and sprinkle with cheese. Bake for an additional five to 10 minutes, or until cheese is melted. Lasagna rolls are a quick and easy take on lasagna — all the deliciousness without the fuss. The added spinach in this recipe gives you a boost of protein, which is harder to come by during Lent. Plus, this recipe calls for cottage cheese instead of ricotta, making it easier on the wallet and much more kid-friendly! In a medium bowl, combine spinach, cottage cheese, Parmesan cheese, salt and pepper. Ladle 1 cup of the sauce on the bottom of a 13 x 9-inch baking dish. Lay out noodles on wax paper. Spread 1/3 cup of the spinach mixture on each noodle. Roll each noodle up and lay them in the dish with the seam down. Cover the noodles with remaining sauce. Sprinkle mozzarella cheese over each rolled noodle. Cover and bake 40 minutes, or until cheese is melted and sauce is bubbly. Try doubling these recipes to save you trouble down the road. Make the extra dish up until the baking step, and then cover and freeze it. When you’re ready to eat it, thaw and bake for a super easy homemade meal.